We’d love your help. 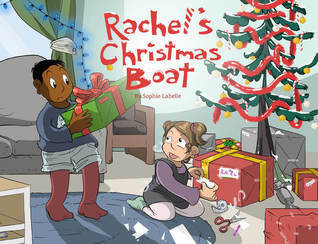 Let us know what’s wrong with this preview of Rachel's Christmas Boat by Sophie Labelle. When Lulu's Dad tells her that she's going to change her name to Rachel and be a lady now, Lulu has a major worry: what if Santa doesn't find out in time to fix all the tags on Rachel's Christmas presents? Lulu decides to take matters into her own hands and make sure that her Dad gets the lovely Christmas she deserves for being a most wonderful person. 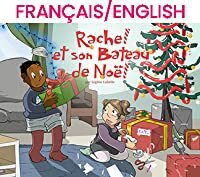 To ask other readers questions about Rachel's Christmas Boat, please sign up. 'Your dad looks really happy today!' noticed William. Lulu explained that Rachel had changed her name to one she likes betters, and was going to be called she and her now, and probably that was why she was so cheerful. I was occasionally braced for someone to respond negatively to the news of Lulu's dad's transition, but it was nice to get to be in a story where that doesn't happen. The unique transgender cartoonist, the author of Assigned Male. She is from Montreal, Quebec. She is active in the transgender rights movement and speaks on the subjects of trans history and transfeminism.